Welcome to Auto service, Byrne Cars. 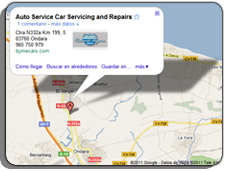 Auto Service, Byrne Cars is a small English speaking family business that has been offering a wide range of car services at the highest standards since 1988 on the Costa Blanca, therefore we are well known in the area for our serious and professional aproach to all the services we offer, just ask any of our many satisfied clients. Our workshop has had a full makeover over the years and is continuosly uprgaded to the highest standards and thechnologies of the modern automobile, we employ fully qualiffied tecnicians . Come and visit us ,we will exceed you expectations!